Taproot S3E0: Season 3 Starts Next #TaprootTuesday! We are excited to announce that the first episode of Season 3 will be released next Tuesday! This season, we have some amazing guests joining us and each episode will focus on busting a common science myth. Be sure to listen to Seasons 1 and 2 while you wait and stay tuned! 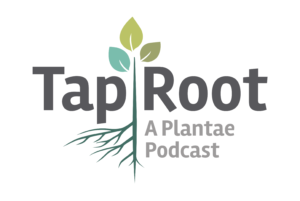 The Taproot is the award-winning podcast that digs beneath the surface to understand how scientific publications in plant biology are created. In each episode, co-hosts Liz Haswell and Ivan Baxter take a paper from the literature and talk about the story behind the science with one of its authors.